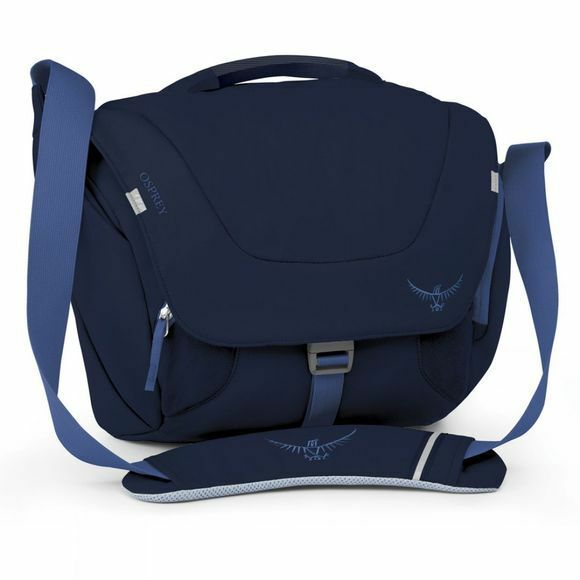 The Flap Jill Mini Courier from Osprey is an ideal everyday bag that will keep your belongings secure. Designed for women, it has a single adjustable shoulder strap with a comfortable pad that you can place along the strap accordingly as well as a padded carry handle at the top of the bag for those grab and go mornings. With 9litres of capacity it easily has space for your purse, your gadgets and even a little lunch but you won't need to worry about losing your keys at the bottom as there is an internal key attachment clip so you always know where they are.